That's the question posed to visitors to the Japanese American National Museum's exhibition "kip fulbeck: part asian / 100% hapa" (Los Angeles, June 8 - October 29, 2006). The exhibition includes over 80 photographic portraits of people of multiracial heritage, selected from the 1,000 portraits taken by artist Kip Fulbeck over three years, along with the sitters' responses to the most common question asked of people of mixed-race background -- "What are you?" During the run of the exhibition, visitors were asked to take a Polaroid photograph in the gallery and add their images and personal responses to the question of "What are you?" to the exhibition's interactive display. A selection from the overwhelming participation in Los Angeles is included here. The exhibition travels to the Asian/Pacific/American Institute at New York University from March 10 – May 30, 2008. Selections from their Polaroid activity will be added as well. Include your own portrait in this Nikkei Album collection! 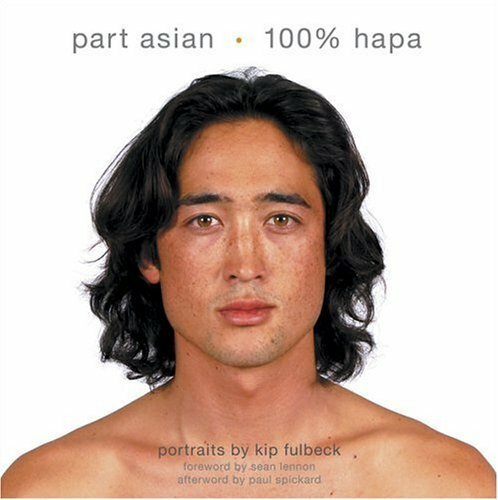 Your photo can be in the "style" of Fulbeck's Hapa Project -- that is, from the collarbone up, without clothing, jewelry, glasses, makeup, or purposeful expression -- but whatever your preference, please include your written response to the question "What are you?". To participate, create a Discover Nikkei user account and log in. Upload your photo and provide information and your response to "What are you?". E-mail us the link to your page to have it included in the collection. Alternatively, you can also e-mail your photograph to editor@discovernikkei.org, and we'll add it to this collection. editor — Última actualización Abr 19 2018 3:25 p.m.